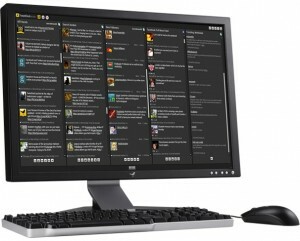 Finally, Twitter today finalized a $40 million deal to buy the popular third-party twitter client, TweetDeck. CNN reported today that Twitter and TweetDeck are yet to confirm the acquisition but this is a clear sign that Twitter is making money. There were earlier reports that Twitter was actually loosing money but any investors out there will be happy to hear about this acquisition. TweetDeck is one of the most popular third-party Twitter clients and the tool of choice for power users who are constantly tweeting and keeping track of other tweeters. Twitter had initially started advanced talks with TweetDeck back in April. Twitter got into a bidding war along with UberMedia which initially had its eye on TweetDeck. Twitter’s acquisition of TweetDeck is seen as a defensive move against UberMedia which contains a significant chunk of users through its apps. This is also an indication that Twitter is making money in its business and finally settling down. Previous Sony Music Site Hacked!